I have always liked to be a bit of a greenie, though not in a huge way, and I found that riding my bike for transport fits in well with this. I started riding my bike as an adult to do triathlons, I was into fitness and it seemed like another way of keeping fit as I already liked running and swimming. So I trained for a few tris and that was the extent of my riding. Then I decided it would save time if I also rode to work from time to time, so I started doing this on an occasional basis. Usually in the lead up to the tri season. I would have liked to ride more often but as a full time worker and mother it was often difficult to do things by bike. 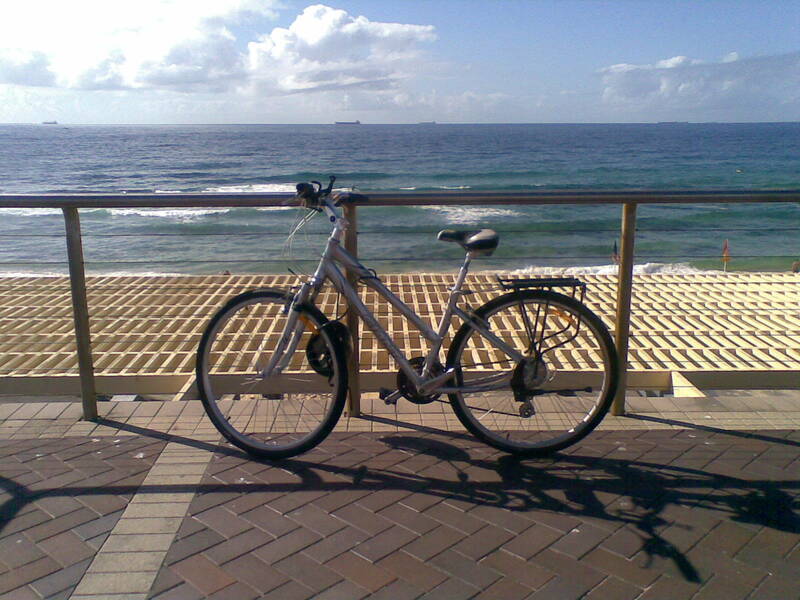 Once I resumed study a few years later, and was suddenly freed from the shackles of full time work, I decided to use the bike more often as transport and would ride it to uni whenever I could. These rides were about 45 minutes to an hour and, being naturally a bit competitive with myself, I would time my rides to see how much I could get the time down. I was not entirely happy with my bike at that time, it was a road racer which I had inherited and although it was good for racing it was not so great for transport, so I decided to invest in a more practical bike and got a hybrid Giant which would be more robust on the streets. Suddenly being hit by a chronic health condition meant that I had to slow down my life a lot and for a time my riding days came to a halt. I recovered partially and decided that using my bike as often as possible would be a great way to live a better life and to keep myself a little bit fit, which is all I am capable of now in comparison to my fitter days. It is also a great way to save on time spent looking for parking, as car parks are not a great love of mine! This entry was posted in Uncategorized and tagged about me. Bookmark the permalink.